Vinyl records are just cool. They deliver music with an elusive and even romantic warmth that audiophiles continue to love. You may be an owner of a huge vintage record collection, pumped through an all-analog, tube hi-fi home system, or you may just choose to enjoy one of those portable, battery-powered record players in the park. Listening to music like this is quite addictive: the handling of the physical product, marvelling at the artwork, checking out song lyrics and credits in a way you never do with CDs or streaming. It’s a unique experience, and you’ll need a turntable to get the best of it. Like the ones we’ve listed below. For more background information on turntables, see our comparison table and buying advice below the picks. What We Like: Solid and reliable, great value for money, excellent sound. What We Don't: The AT-LP7 offers two speeds only. We often pick affordable products above expensive examples - we're looking for value here - and in this case, the Audio-Technica AT-LP7 gets number one because it offers a similar spec to the Clearaudio Concept, below, but for one-thousand dollars less. It offers some unique features for any price point. For starters, Audio Technica have solved the common belt drive system problem of inconsistent playback speed, by including a highly-accurate speed sensor. The company's signature J-shaped tonearm features a gimbal suspension and precision bearings that minimizes playback errors. Its built-in phono stage, unusually, has a switch to cater for Moving Magnet and Moving Coil cartridge types as well as a switchable Phono/Line Out option. The AT-LP7 comes with a solid cartridge - the VM520EB - and if it isn't good enough, you still have a wide range of VM stylus models to choose from for upgrades. In short, if shopping for a turntable, the AT-LP7 should firmly be at the top of your list. 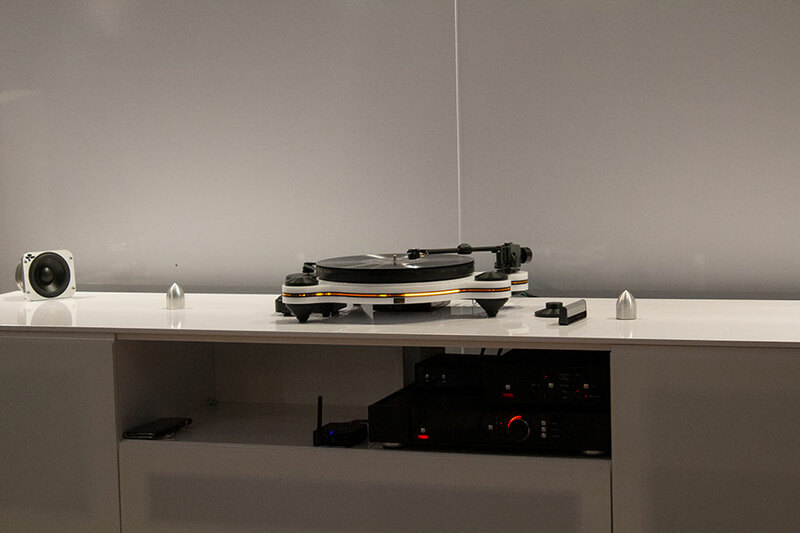 The Clearaudio and Pro-Ject models, below, still manage to offer a bit more in terms of overall performance, but for most people this is the ultimate choice. What We Like: Superlative looks and sound, plug and play design. What We Don't: Quite pricey. It's not just that the Clearaudio Concept sounds good. Of course it does – that's part of the reason you're paying over $1,500. It gets the top spot because it offers an absolutely superb experience, including hassle-free plug-and-play design that means you can slot it into just about any existing system. 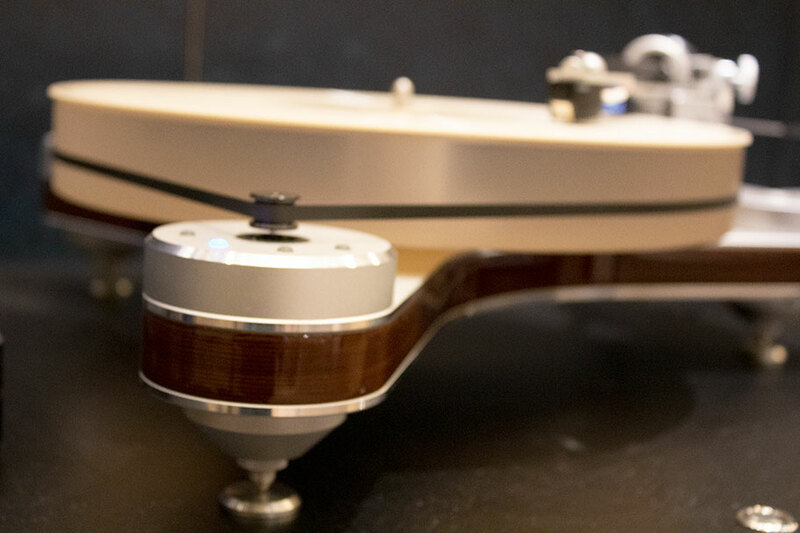 The Clearaudio Verify tonearm plays a big part in the overall performance - it has a magnetic bearing, and its base is made of aluminum with a wood core that guarantees minimal vibrations. 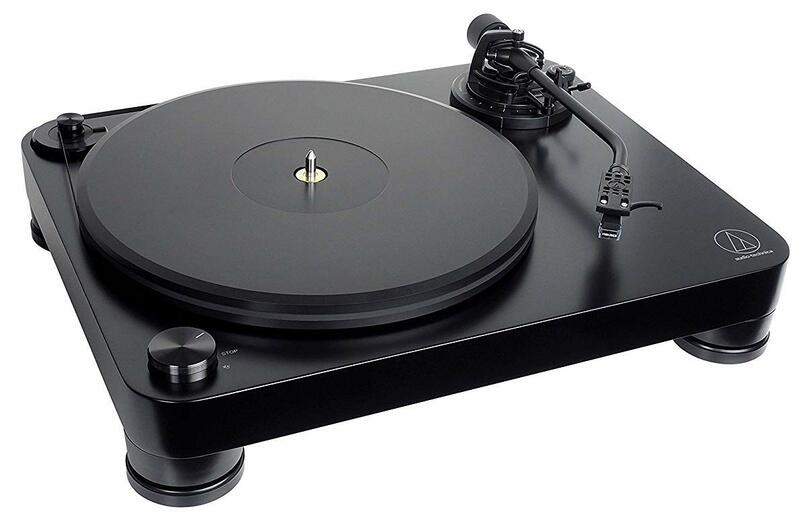 It's incredibly easy to set up - as we mentioned, this is highly unusual for a turntable in its price range, which most often caters to professionals. Supplied with a high-grade performance cartridge, the Concept's sound is splendid, with rich but not overpowering bass and a level of detail that screams for you to dig out the gems from your vinyl collection and get playing. While it may be a little bit expensive for most people, which means that it's probably not going to be top of our list, there's no question that this is one of the finest turntables available today, and if you have the money, you should definitely get it. What We Like: The natural wood top, included headphone out, USB. What We Don't: Basic cartridge. ION Audio is owned by InMusic, the parent company to some premier turntable marques: Alesis, Alto Professional, M-Audio, MixMeister, Numark, and Sonivox. Impressive considering that this is a sub $100 turntable. The Max LP is a belt-driven affair that comes with a cheap but replaceable ION cartridge. We like the stylish hinged lid, and the included auxiliary mini-jack input allows for an easy integration of your external line source device - be it smartphone, tablet or a DAP. The ION also features built-in speakers which are small but are capable enough for casual listening. The USB port is of course reserved for connecting the Max LP to a computer, and ION also include a simple but effective audio editing program called EZ Vinyl (for Windows and Mac). We mentioned the 1/8" input but what's really cool is the inclusion of a headphone output! Nowhere near a given on most turntables, even pricier ones. And in terms of vinyl playback audio quality, the supplied cartridge does a respectable job despite being an entry-level model. We would recommend a nice upgrade - opting for a Stanton or Ortofon cart upgrade would really spice things up. Being able to handle 33⅓, 45, 78 RPM speeds (with a 45 adapter included), this turntable is great for dusting off an old collection, and represents really good value for money. What We Like: Fantastic set of features. What We Don't: There is a degree of a flimsiness to the build quality. Numark are, of course, a well established brand with a range of vinyl playback products that are well accepted. In the early days of vinyl renaissance, which was probably eight or nine years ago now, they caused a bit of a boom with the release of this little portable turntable. The idea that you could take a vinyl player to the park seems relevant even now, in the era largely ruled by Spotify - so, the inclusion of a little speaker, aux-in, and battery operation on the PT01USB explains its lasting popularity. When used as intended, as a simple turntable, this little Numark delivers more than decent results. The included speaker is decent enough if you don't have a system to connect to, and if do choose to connect external playback, there's a line output to be used with any powered speakers. 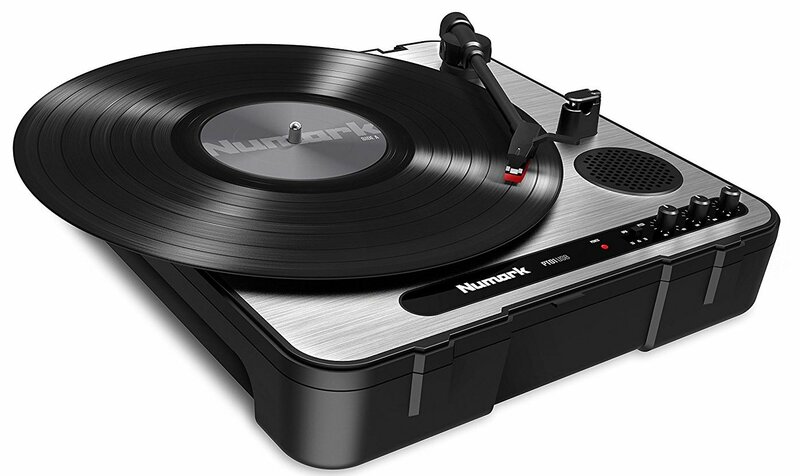 Numark have included all three rotation speeds - 33⅓, 45, 78 RPM to allow the PT01USB to play 7", 10", and 12" records. The unit is even advertised as an 'archiving' turntable, since its versatility also includes a USB interface for digitising vinyl playback. Although the included Numark cartridge is alright, we do recommend upgrading it if you plan on transferring your records onto a hard drive. And, speaking of digital, the only thing that may slow down the PT01USB's march into the 21st century is its lack of Bluetooth. Now that would be a worthy MKII addition. What We Like: Tube preamp, Class D amp, analog and digital inputs, Bluetooth functionality. What We Don't: Really expensive, the integrated design might not suit everybody. Who doesn't love a Mac? We certainly do, and have been big fans of McIntosh since...well, forever. This premium audio brand might be best known for their state-of-the-art preamps and power amplifiers, but the MTI100 integrated turntable has been just added to their catalog. It offers an integrated design - all you need to add is a pair of passive speakers and some music, either on vinyl or via Bluetooth. The trademark McIntosh green light emanating from below the pair of 12AX7 tubes create a striking visual statement. The tubes are part of the preamp section feeding a Class D power amplifier rated at 80 Watts per channel. External audio sources like CD and Blu-ray players are easily accommodated via the analog, coaxial and optical inputs present. We like the fact that there is also an onboard Bluetooth receiver, capable of wireless streaming (with an SBC lossless codec). The turntable itself is built to the highest standards, featuring an aluminum platter rotating on an oil bath PEEK thrust disc and a Thompson Engineering 60 Rockwell case hardened shaft. Vinyl tracking and audio reproduction is courtesy of the Olympia Oyster cartridge. All of this, plus the fact that you get a high quality headphone amp and a remote, means that the MTI100 is a lot more than just a turntable. Yes, it is really expensive, but it sounds immense - if there ever was a one-stop shop of an audiophile vinyl rig, this is it. What We Like: Great looks and fab specs. First new deck in 30 years for Yamaha! What We Don't: There's no USB port for digitizing. When a mammoth of a brand such as Yamaha puts out a product, you can expect it to be on-trend. The TT-S303 is the company's first deck design in thirty years and does just that, with its sleek 'piano black' finish, 8.8" straight tone arm, and built-in phono preamp. As we've said many times, record players are a lot more like musical instruments than just hi-fi components. To make sure the TT-S303 is not just another skin-deep beauty, Yamaha have put a lot of effort in optimising the internal core density of its high-mass cabinet. This, combined with the aluminum platter, results in low vibration and extra tracking stability. The supplied moving magnet cartridge (please read our explainer on cartridge types in Buying Advice below) delivers more than average quality for the price point and the line-level signal (when the phono preamp is activated) delivers a great deal of clarity. However, what isn't so clear is the way Yamaha have decided to label the phono-to-line preamp switch. The so called 'EQ switch' does indeed activate a subtle classic equalization curve as well as a boost to the phono signal (we have an explainer on EQ curves in our Phono Preamp article) and is therefore a Line-Out switch. What We Like: Incredible attention to detail and performance. Although perhaps not as crazy expensive as the McIntosh at number 4, above, the Music Hall MMF 11.1 will still be out of reach for many. Considering that, when buying such a serious piece of gear, one should also invest in an equally serious cartridge, phono stage, amp and speakers. It’s obvious that this turntable is aimed at a high place where only eagles fly. Still, the price is kind of justified, considering the level of research and development invested into this unit. Let’s start with the tonearm: in the name of defeating even the most minute vibrations, many a vinyl enthusiast would spend a fortune on custom tonearms. Music Hall have designed a custom, one piece '9cc Evolution' carbon fiber tonearm using sorbothane vibration mount pads, hardened Swiss ABEC 7 ball bearings, and the spec goes on and on in a NASA-style tech jargon. In terms of signal transfer, the tonearm carries the cartridge feed via a high purity copper wire with only two contact points. These are fundamentally important details for critical vinyl playback, especially when using low output Moving Coil cartridges. The other main focus of this turntable design are the belt motors mounted on isolated plinths, two belts, and microprocessor speed control. We are talking extreme precision here. Playback delivery, as you might expect is sublime - virtually no motor noise and extremely accurate tracking. One more thing: you get no cartridge here. If you’re ready to invest in the MMF 11.1 - because that’s the right way to put it really - you ought to also invest in a good cartridge for this turntable. What We Like: Incredible build from a trusted brand. What We Don't: Lots of competition at this price point. Inspired by the ethos of the best record players of the 1960s, the SB is an upgraded version of Pro-Ject's 'The Classic' model. The SB here stands for the included Sumiko Blue Point No. 2 cartridge. What's also evident here is the presence of Pro-ject's high-end, heavy duty clamp and mat, called Clamp It and Leather It, respectively. These actually play an enormous role in improving tactile stability and tracking performance. The somewhat minimal top is, in fact, an over-engineered Metal/MDF sandwich chassis floating on TPE (thermoplastic elastomer) suspension. No detail seems forgotten here - even the carbon fiber/aluminum tonearm is a fully-adjustable audiophile affair. 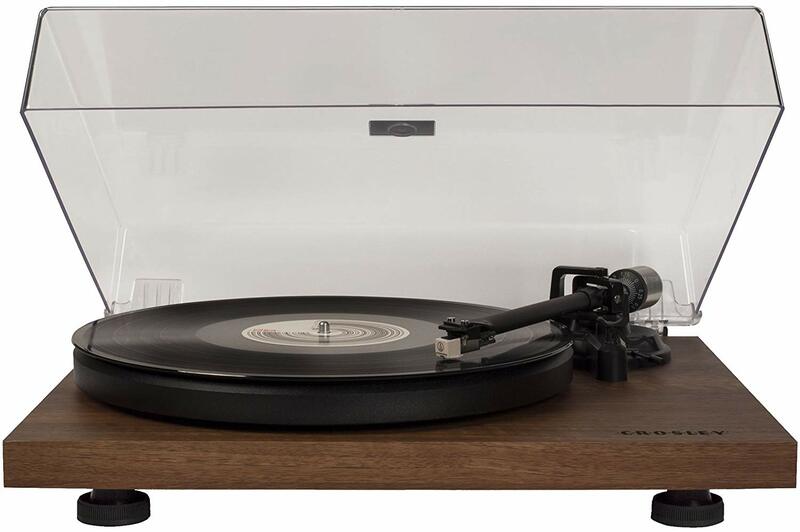 If you really wanted the best turntable, we'd agree with Pro-Ject - this could well be it at the current price point. However, the reason it hasn't claimed the top spot is the steep competition on the market. The Classic SB will remain one of many possible options, even when considering the numerous other Pro-Ject-branded offerings. What We Like: Futuristic construction. What We Don't: Very little for this price. 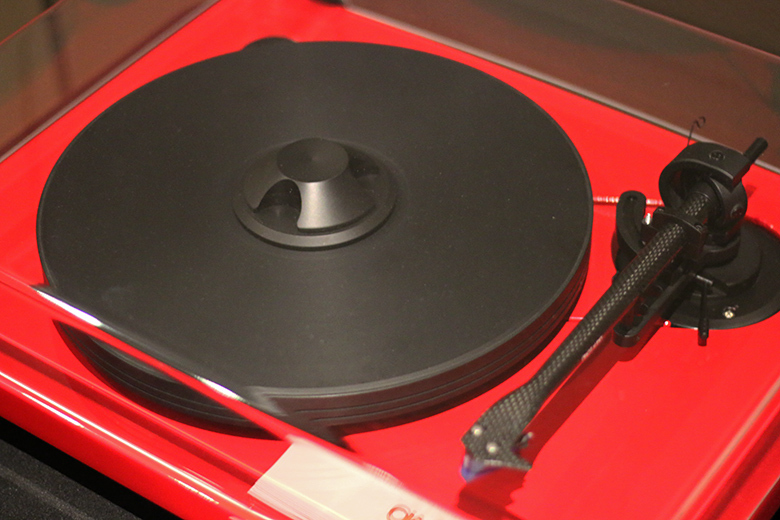 It's not just the superlative looks that make the Rega RP3 attractive. It has some of the most futuristic construction available today, including a base with ultra low mass and a double brace on the tonearm, both of which help with reducing vibration. 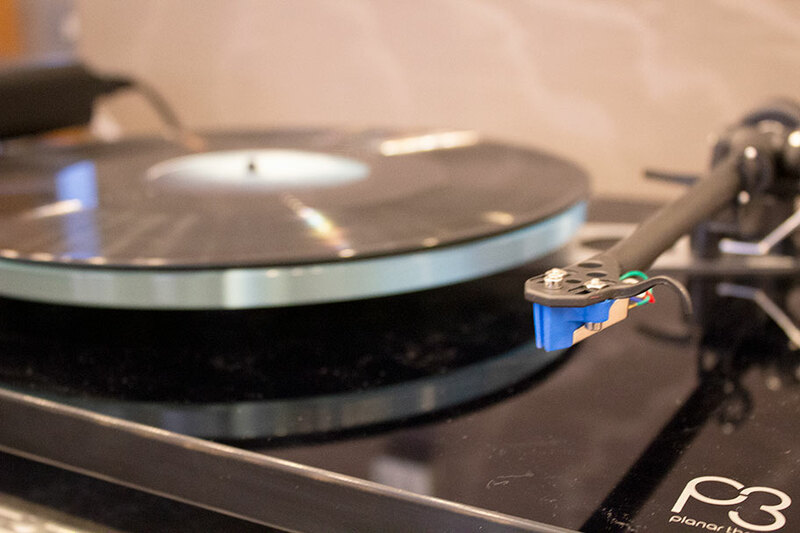 If this may seem like a bit of a geeky thing to comment on, turntable tonearms have a tremendous effect on any turntable’s audio quality and we have an explainer on that in our Buyer's Advice section - check it below our picks. So yes, despite the fact that RP3 is reasonably old (released in 2011), its construction has stood the test of time, and this definitely counts. For our money, it's still the best system Rega has made yet and it can easily compete with the likes of more expensive units such as the Pro-Ject The Classic SB. The sound is phenomenal, even for this price, particularly in the bass, where it really shines. It's worth noting that the support system isn't quite as sturdy as others – while it's far from unstable, its three rubber feet require a pretty solid surface, and you'll get best results if you place this a long way from the speakers. If you do, you'll be rewarded with balanced, authentic audio that gives you fantastic value for money. 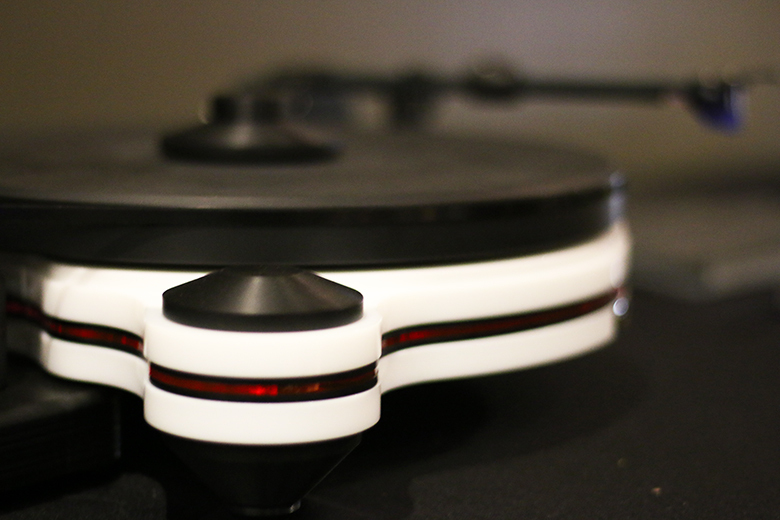 Rega has been making a name for itself for a long, long time, and they deserve this spot on the list with the RP3. What We Like: Modern design, Bluetooth with aptX streaming. What We Don't: Might be a bit overpriced for some. 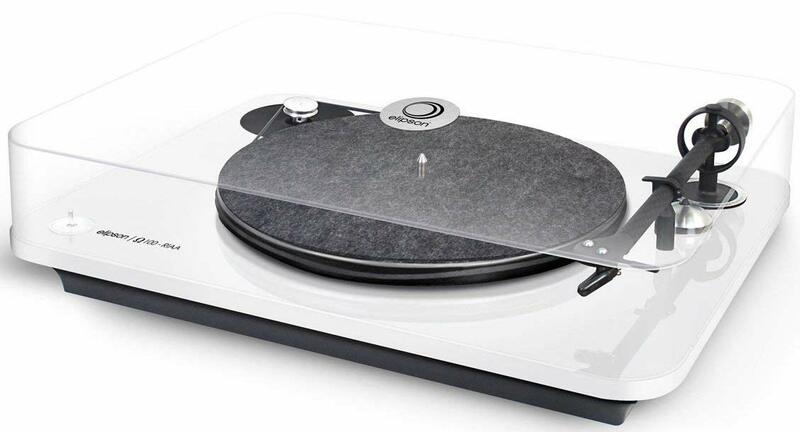 The French-made, Elipson Omega 100 turntable has become a bit of a hit, acquiring major industry awards and positive reviews upon its release. This is hardly a surprise as it’s very evident that a lot of thought has gone into its design spec sheet - both from a visual and technical perspective. With its designer looks, the Elipson Omega’s elegant simplicity would not be out of place in any modern interior. It’s not a case of skin-deep beauty either, as some integral aspects of modern engineering have been implemented here. We really like the carbon-fibre tonearm and inclusion of the Ortofon OM-10 is a particularly nice touch. Elipson have even gone the extra mile in terms of quality control - they guarantee that each Omega 100 is perfectly tuned and ready to play straight out of the box. This means that there’s no need for weight and height calibration - this has already been done for you, and importantly, the packaging ensures that the setup stays intact. 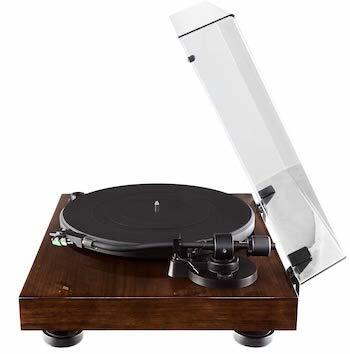 Capable of playing 33⅓, 45, and 78 RPM records, this turntable is supplied with a high quality aluminum centraliser. The suspended motor eliminates friction and noise entirely and the speed consistency here is very impressive. In terms of audio performance, the built-in preamp features the RIAA frequency curve - see our Buying Advice below for more information on that - and the USB port allows for digital transfers of up to 24/48kHz bitrates. Lastly, we’re impressed by the built-in Bluetooth transmitter. This is a feature which will soon become a must-have on turntable spec sheets. A very important detail needs to be mentioned - the Elipson Omega 100 supports aptX Bluetooth streaming, which ensures that playback bitrates are on a par with commercial CDs (16bit/44.1kHz). If you are after a cable-free turntable setup, grab a pair of wireless speakers - the Elipson Omega 100 will easily pair with any of them. What We Like: Good design, dust cover, phono amp, and USB A port for direct digitizing. What We Don't: Slightly iffy cartridge. Everyone knows Denon - their recent DP-400 turntable is already a strong seller thanks to its famous brand and multitude of features. The DP-450USB is pretty much identical to it in every sense, it just adds one more feature. That feature is a USB port at the front of the unit, allowing you to connect any suitably sized USB flash drive in order to digitize your favorite records at the press of a button. You don't need to have a computer to utilize this feature - it's all done on-board. Even though this technology has existed for quite a few years, the DP-450USB works it well and the build quality is fantastic. You can specify the file type you want to convert your vinyl record to (either MP3 or WAV) - we do prefer the CD quality setting, but MP3s are smaller in size and great for phone or DAP storage. And, if you want to tweak your files a bit, you can import them into the included computer-based audio editing software, called Musicut. Aside from all that digital goodness, the DP-450USB is a solid performer and we like the built in phono preamp too. But, like most turntables we come across, our one complaint is that the cartridge could use an upgrade. What We Like: Boutique design, excellent sound. What We Don't: Lack of a mat may be a turnoff, and it can be hard to find. Edwards Audio is not actually a company. It's a line of equipment from a UK manufacturer, Talk Audio. No, we have absolutely no idea why the names are like that, and no, we're not going to call it the Talk Audio Edwards Audio Apprentice TT1 Mk2. That would just be silly. What we can tell you is that while this turntable can be a little hard to find outside the UK, it's absolutely worth your while to do so. The company actually has newer systems, the TT2 and TT3, but for our money this is the one to go for, as it presents the best value for money. It immediately distinguishes itself by shipping without a mat, and as coders say, it's a feature, not a bug. The company claims it sounds better without a mat getting in the way of things. It certainly sounds superb, with rigorous, detailed audio that can easily match the AT-LP5 and others on this list, and as an added bonus, it looks absolutely tremendous. Again, you're probably going to struggle to track this one down in the US, making it one for enthusiasts only, but if you persevere, you'll get a truly magnificent audio experience. What We Like: Cool vertical record spinning, Ortofon cartridge and Bluetooth transmitter. What We Don't: In spite of its innovative features, this might not appeal to the traditional vinalysts. Pro-Ject is a brand that’s featured extensively in our vinyl-playback related articles. 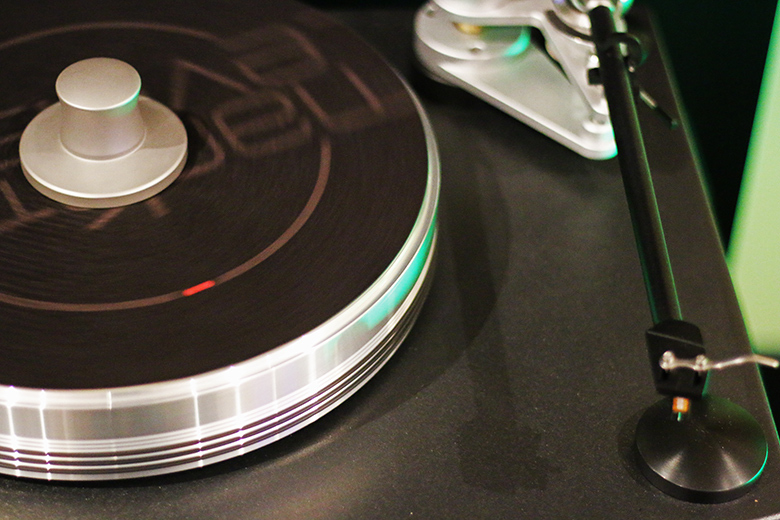 Their VT E-BT turntable makes a great first impression with its vertical spinning layout. Far from being the first company to follow this design - they have other vertical spinning turntable models too - Pro-Ject have fine-tuned the concept here. The VT E-BT is available in three colors, and we find it particularly interesting that it can be wall-mounted and is even available in left-handed version. This is essentially a reversed, mirror image control layout. The VT E-BT is ready to play straight out of the box - just like the Elipson Omega at number ten, Pro-Ject have calibrated the unit prior to boxing it. For anyone new to vinyl and and those who haven’t experienced the strenuous process of setting up a turntable, you can take our word for it - this is a very good thing. The belt-driven motor performance and speed consistency are somewhat aided by the vertical platter layout. This, of course, requires a record clamp - which is supplied with the turntable. Everything else, spec-wise, is top-notch and well put together. The light-weight 8.6" gimbal bearing aluminum tonearm is designed to deliver vibration-free tracking and comes equipped with a Ortofon OM 5E moving magnet cartridge, which is always a great start - especially for audio performance. In traditional terms, the analog vinyl playback of the VT E-BT is nearly immaculate, and the Bluetooth transmitter works very well. This is another thing it has in common with the Elipson Omega, and we love the fact that the Bluetooth streaming supports aptX high-quality streaming codec. This clearly makes the Pro-Ject VT E-BT suitable for any home, trendy coffee shop, or bar - what better way of popularising vinyl records to the new generations of wireless-savvy kids? What We Like: Classic design, features and performance. What We Don't: Sound could be better. Most people drop Audio-Technica's name when on the subject of headphones or microphones, and these have indeed been firm favorites of pro DJs and musicians for a long time. Around the turn of the century though, the brand got a steady foot in the vinyl record player market through their replacement record needles, which offered superb audio performance for what was a fraction of the price of established stylus market leaders such as Stanton and Ortofon. No surprise then that this AT-LP120, the second Audio-Technica model on this list, is beautifully conceived, and represents great value for money. You get the classic Technics 1210 design (which still remains the benchmark for performance), and the AT-LP120 is a winner, with included Line Out and USB options (hence the name) and steady skip-free groove tracking. The sound could be a little better - it's not that it's bad, just a little bland, without the space and depth that we'd expect from models in this price range. It’s worth noting that as always, turntable sonics can be upgraded anyway - check our explainer on cartridges in the Buyer’s Advice section below. That being said, we don't think you can go wrong with this one, especially if you're just starting out or want to go for an established brand that isn't going to let you down. It’s not quite as good as other models mentioned above - the PSH X500, for one, offers better sound - but we still like it. What We Like: Looks, performance, tonearm, overall design. The ethos behind Pro-Ject’s Debut Carbon Premium is very similar in its approach to the one taken by Music Hall, at number 7 on this list. It is perhaps revealing how some of the trends in high-end turntable manufacturing happening right now are distilling through into the lower price points. Pro-ject have gone for a very streamlined, one might even say barebone, aesthetic, which hint that this piece is made for one thing only - killer vinyl playback. The ‘Carbon Premium’ bit in the name points at the tonearm of course, which in this instance is made of 8.6CC carbon fibre - an incredibly light, yet super rigid material, capable of delivering superb tracking. Almost literally speaking, the proverbial cherry on the cake here is the inclusion of the Ortofon Red - a great-sounding cartridge which has become something of a reference for all MM (moving magnet) cartridges available. The belt driven synchronous motor and the sorbothane motor suspension are also impressive additions to be included at this price point. In our opinion, this overall spec of this turntable is perfect for a first attempt at putting together a true audiophile vinyl playback rig. This is why the Pro-Ject Carbon Premium is nesting slightly higher than other more expensive turntables. What We Like: Gorgeous design, weighty sound. 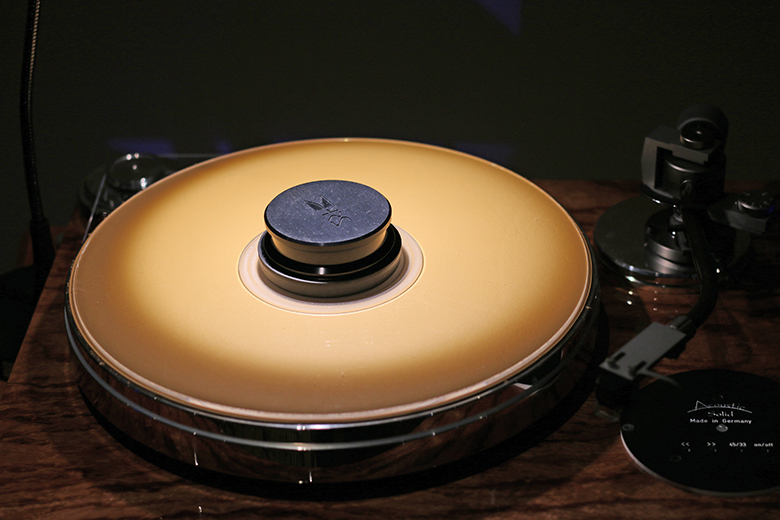 What We Don't: Outside of the sleek looks, this isn't a particularly special turntable. If we awarded prizes for looks, then the Fluance RT81 would take it every single year. God, this turntable looks magnificent. For a $250 platter, we didn't expect this level of attention to detail, or a design that seems to blend old school charm with a highly robust finish. It has a good range of features, too, with a built-in phono stage and a respectable cartridge. There's no USB out, but it's a minor problem. A bigger issue is the fact that outside of the looks, the RT81 doesn't do anything that other turntables in the same price range don't do. Take, for example, the Audio-Technica AT-LP120. That turntable is only a little bit more expensive – just under $30 at the time of writing – but it sounds much better, with more dynamic audio. That doesn't mean the RT81 should be overlooked, but it isn't the first choice. If this is your budget, then think carefully about how much looks mean to you. What We Like: Great value for money. What We Don't: No 78RPM. The Crosley C6 is a perfect example of how an entry-level turntable can get it right. Despite its low price tag, what you get here is a very decent, fully adjustable tonearm, and a cool Audio-Technica MM cartridge. What’s even better about the Crosley C6 is that you’re not stuck with the latter - since the cartridge mount spacing is standard, you could upgrade with almost any brand and model of cartridge available. We talk about cartridge types in our Buying Advice section below the picks, if you want to learn more. If opting for an MC (Moving Coil) vintage style cartridge, more often than not, you would need to invest in a suitable phono preamp. Of course, like many contemporary turntables the Crosley C6 comes with a built-in preamp, but that can be bypassed, which is handy if you’re upgrading your rig. Out of the box though, having the option to switch between phono and line outputs is perfect for pairing this turntable with any pair of active speakers - just plug and go. 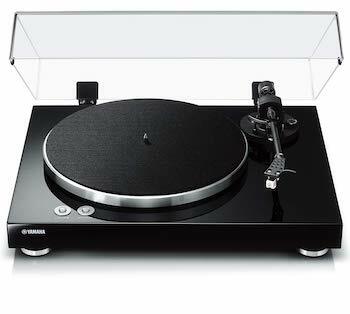 The build quality is sturdy and the C6 gives the impression of a much more expensive turntable than it is. All of the three optional colors - black, red, and mahogany - look fantastic, and we especially love the wood veneer. On the subject of performance, everything works as expected. The playback speed is smooth and consistent, though it is a pity that 78RPM records are not supported. And keep in mind, if you plan on flipping back and forth between records with different RPMs, be prepared to get your hands dirty - this is bit less straightforward than expected. You need to open the platter and manually attach the belt to one of the two motor gears. In all honestly, we would have preferred a switch instead. 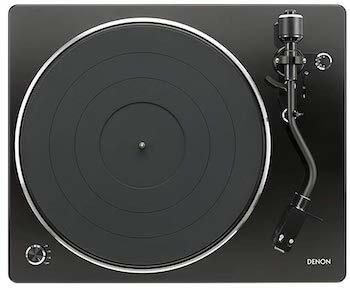 But, if you’re up for the challenge and enjoy some tinkering, this could be the turntable for you. What We Like: Styling, sound and 3.5mm aux input or Bluetooth wireless options. What We Don't: Small speakers...sound small. Battery operation would have been nice! So, who would need a portable turntable if we have smartphones? Vinylism, if there is such a term, is all about the experience - or so we say. Whether you are visiting your friend next door, or your auntie in the countryside, bringing this Victrola along will certainly make things fun and different. The briefcase obviously is made for travelling, but don’t let its vintage styling fool you. 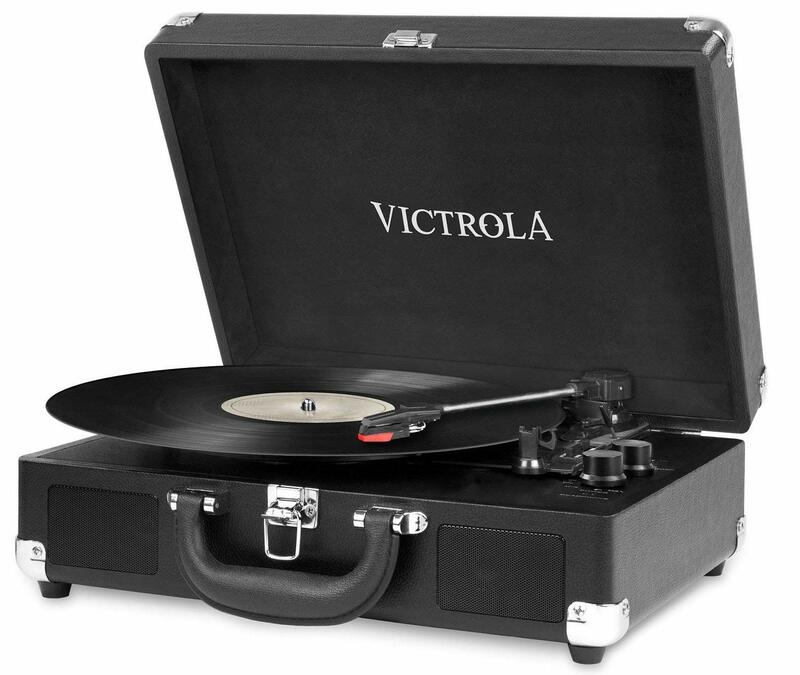 The Victrola has a few modern tricks hiding in there - namely the ability to accept external audio devices via either a 3.5mm aux input or Bluetooth wireless pairing. Of course this would be of no use whatsoever if it didn’t also have built-in speakers and even a headphone output. Source selection, volume control and on/off functions are easily accessed via two rotary knobs and everything's is clearly labeled and self explanatory. We won’t dwell too much on the wireless and aux-in functions - they all work as expected, though we might mention that Bluetooth pairing with devices is quick and stable. The vinyl side of things is thankfully equally hassle-free and the VSC-550BT plays all three speeds, which is usually expected from a portable turntable. The supplied cartridge is just OK - it’s the one obvious thing that could be better - but even so, the audio performance is commendable. The two speakers will not impress anyone with volume, but at least the clarity is decent, providing you’re not cranking up the volume to max. There were a few exciting turntable releases at the recent CES 2019. One of the biggest brands in the business, Technics, announced two fresh models. Firstly, a new Mk7 update on their classic SL-1200 sees a redesigned coreless direct drive motor, plus the DJ-focused Reverse function. And second, the Technics SL-1500c, which has the same motor design plus a few additional features, such as phono stage with EQ (MM only). Audio Technica announced not two, but six new turntable models based on two designs - the AT-LPW40WN and AT-LP60. These aim to keep your costs down by letting you choose a model featuring either just Bluetooth wireless streaming or a USB port. They, of course, already have many models that pack all of those features, but we like that they're giving more power to the people. In other big-name news, there's Sony's P5-LX310BT, It looks deceptively simple, with a touch of class and all the modern features you could need. The $2,000-plus belt-driven Rega Planar 8 is set to release any day now, and will give the Clearaudio Concept a run for its money. If you're into minimal, futuristic designs then consider the Audio Deva's Atmo Sfera or Ovo. Finally, look out for the Luxman PD-151. This belt-driven beauty strips back the design of the old PD-171A, delivering a utilitarian look that promises great sound. We don't have a huge amount of information on it yet, but we do know that it comes on a machined aluminum plinth, and will retail for upwards of $4,500. Our picks cater to pretty much any scenario. You might recognize some of the brands, but there are also a few small, boutique-type marques that have managed to come up with impressive looks, specs, and performance - they most certainly will be as deserving of your attention as the established names. Virtually all turntables can be integrated within an existing hi-fi system and many can also be used as stand alone music systems, sporting built-in speakers, auxiliary input for external players and even bluetooth streaming. At the time of our latest update, all prices were correct - and if you disagree with us, or think we've missed a pick, feel free to fight us (nicely) in the comments! And before you do, please know that we're aware that turntables can become massively expensive and specialized. We're after gear for the average people here - although, we do have at least one extravagant pick. Just for fun. We get it. Streaming is a much easier way to listen to music than any current physical media. Just turn on your phone or tablet, hook up your speakers or headphones, and fire away. But as much as we love high resolution Spotify, it’s never going to be quite as good as vinyl. Whatever digital pundits may say. That being said, there is no denying the playing physical media like vinyl records can be difficult, and is in for a lot of people. But if you really adore music, then you owe it to yourself to try out. It may be a slightly bulky and often times expensive habit, but it’s also an amazingly rewarding one. Not just because of the sound quality that a good vinyl pressing gives, but also because there’s something really cool about collecting physical records, or digging through the racks and a store in a new city, hunting for bargains. There’s a reason people devote their lives to this particular hobby, and even if you don’t want to go down the collector path, you’ll be surprised at just how much fun it can be to dive into vinyl. 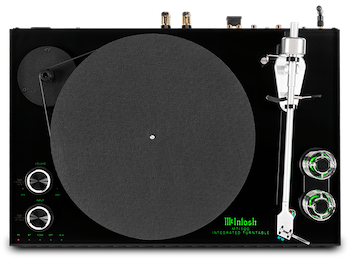 And there are loads of other equipment options to explore, including a matching phono preamp for your turntable, to really bring out the best in your sound. So to answer the question: you should think about buying a turntable when you’re getting serious about your music, and when you want to try and maximise your enjoyment of it. However, you might also reasonably ask about the differences between digital and analogue sound. Is there really that much of a gap? The age-old debate about which one of the two sounds better has no simple answer. 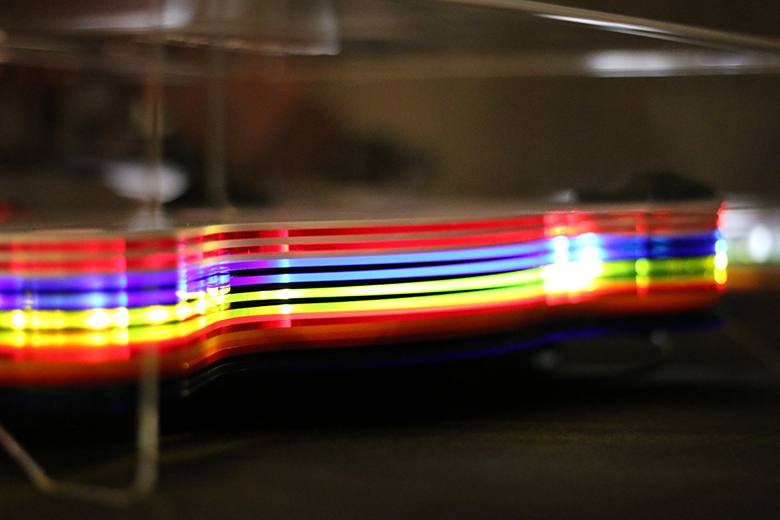 Sound waves in nature are analog by definition, and vinyl records have grooves carved into the surface that mirror the original sound's waveform and theoretically no information is lost - waveforms from a vinyl recording can be much more accurately than digital audio, and that can easily be heard in the richness of the sound. The well known downside is that the grooves pick up specks of dust and can be easily scratched or damaged, resulting in noise, crackle, rumble or static. During quiet sections this noise may be heard over the music. Digital recordings’ huge advantage is that they don't degrade over time, and if they contain silence, it’s totally noise-free. Of course, they can also sound clinical and cold. Digital audio takes snapshots of the analog signal, and by definition, is far from capturing the complete sound wave. Depending on how they use turntable internal motor to spin the platter at a constant speed, they can be classified into two main types. In a direct drive model, the rotating platter is attached to and spins directly via the electric motor, resulting in a constant and accurate rotation speed, faster playback startup and stronger torque. Higher torque means the platter is less vulnerable to outside vibrations such as the stylus or your hand for instance. Which reminds us of that famed special effect… Yes, scratching - the backward-forward movement used by DJ’s to create rhythmic sound blasts is so easy to do on direct drives. Check out the Invisbl Skratch Piklz if you want to see this done in a truly mind-blowing fashion... If there are cons with direct drive types, they would relate to possible unwanted vibrations caused by the motor itself, which can affect sound quality. The issue can be addressed with the use of shock absorbers between the platter and the motor. Belt drive models, on the other hand, spin the platter using an elastic belt that’s attached to the motor. The platter sits on a circular bearing which is separate from the motor. The belt (sort of) resembles a bicycle chain, if you can imagine the bike pedals as the motor and the back wheel as the platter. This system actually absorbs shock and prevents vibrations that are generated by the motor from reaching the platter and being transmitted to the tonearm. That is why audiophiles might prefer belt drives - less noise and less interference often means cleaner sound. Be aware, though - belt drives have much lower torque and can have less accurate playback speed. Plus, the belt can wear down after a few years, and need to be replaced. The good news is that like with pretty much everything these days, spares are easily available online. 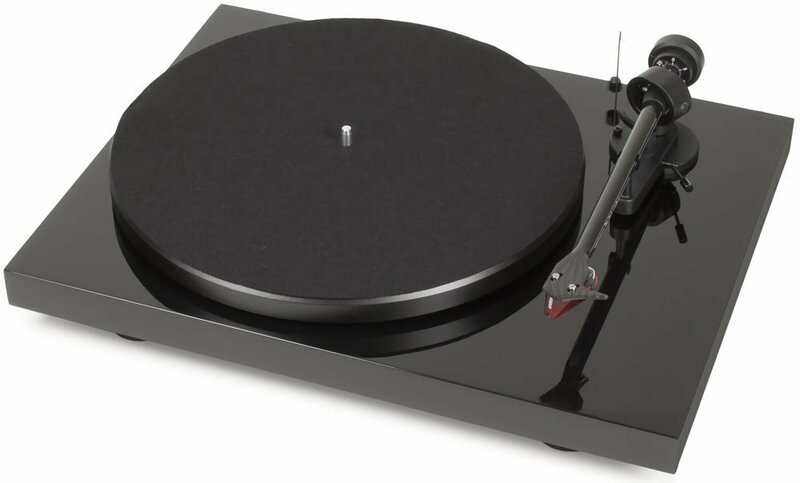 Let's assume, for argument's sake, that you've fully assembled your turntable, in the sense of slotting the platter into place and making sure that any accessories have been connected, with the exception of wires, which we’ll go into below. We are not going to go into cartridge installation here, as that's an entirely different kettle of fish - and has it's own section below. We'll also talk about wiring in another section. For now? You just need to do the following things. First thing to understand about setting up a turntable: it's not about the turntable. If you think this is just a load of Zen nonsense, think again. Turntables won't work if they are unstable or even fractionally angled, so where you put them is crucial. The surface needs to be as flat and solid as possible – a dedicated stand is ideal, like this Crosley ST75-BK, but if you don't want to spring for that, a solid coffee table will work just fine. Once you've got that, check to see if your turntable has adjustable feet. If it does, then use a spirit level to make sure that the surface of the platter is dead-on flat. Tonearms are actually incredibly important for audio detail. We did promise that we’d discuss only ordinary vinyl setups in this article, but just so you get a sense why tonearms have ‘tone’ in their name, vinyl enthusiasts can go to extreme lengths in obtaining the very best sonic detail. Back to Earth now: let’s take a look at your tonearm. As long as you don't have one of those most basic turntables, chances are you'll be able to make some adjustments to its tonearm. This is absolutely crucial to getting the best sound from your vinyl, so it's worth taking a little bit of time on it. The first thing you want to do is see if your turntable has an anti-skating knob. We’ll talk about anti-skating below, but if it does have this knob, set it to zero. Now: time to adjust the counterweight, which will help the arm balance itself effectively, and sit well in the groove of the record. This is known as the Tracking Weight, and (usually), it’s adjusted by turning the big, circular weight on the back of the tonearm itself. As a general rule, you want it set so that when the tonearm floats freely, it more or less balances, and rides flat. Pop it out of its stand, and adjust the weight until you get this. OK - see the little gauge at the front of the weight? Adjust it until it's zeroed - what is known as zero weight. Now you need to turn the big weight again, and this is where you need to pull out the manual that came with your cartridge – or your turntable if the cartridge came pre-supplied. The manufacturer will have listed a number in grams. Don't stress if it gives a range – just set it so that the weight is roughly in the middle of that range. Congratulations. You have your tracking weight. Have a drink. Well, maybe not yet. We've still got a few more things to do. One of those is to set the anti-skate knob. This will stop the stylus from being pulled into the centre of the record as it spins. Super important: it’s sometimes referred to as bias. Find the knob, then turn it to match the tracking weight. Maybe a quarter-gram less, which is what most experts recommend. Not all turntables have this. It’s helps keep an even pressure in the groove. If your turntable has it (some Rega models do) then all you need to do is check the manual. The manufacturer should recommend a specific setting. This refers to how perpendicular the stylus is to the actual record​ – obviously, the more, the better. If the azimuth is slightly off, it can mess with the soundstage. Now we'll be honest: correcting the azimuth is a pain in the neck. It not only requires a level of technical knowledge that can sometimes be a little daunting, but to get exactly right, you need a mono test record as well as an expensive range meter like the Fozgometer, which can hit $300. Based on that, we've decided not to go into it here; for most people, simply getting the above steps right will result in excellent sound, and although adjusting the azimuth will have an impact, it requires an investment of time that we don't think is 100% necessary (audiophiles, please leave curse words out of your comments below, thank you). If you do want to check out how to do it, there's an excellent guide right here. The cartridge is the little piece of plastic-encased electronics at the front of the tonearm. It helps the stylus - the needle - convert the mini-vibrations from tracking the vinyl grooves into sound. The cartridge itself is installed in a headshell - think a tiny, plastic mounting bracket. When we say cartridge, though, we mean the whole package, including the stylus. Budget cartridges can often be characterized by their somewhat thin and weedy sound, while expensive ones (some of which fetch four-figure prices) can often challenge and even outperform CD audio quality. They are an enigmatic and often difficult type of audio kit. Similar to headphones and microphones, different makes can have a more gutsy and fuller-sounding audio playback, while better-quality replacements also guarantee a better groove tracking and skip-free performance. This means that vinyl lovers are in luck, since headshells, cartridges and styli are all parts which can be changed, replaced or upgraded. For the real vinyl enthusiasts, this is a good place to say that there are two main types of vinyl cartridges - MM and MC. 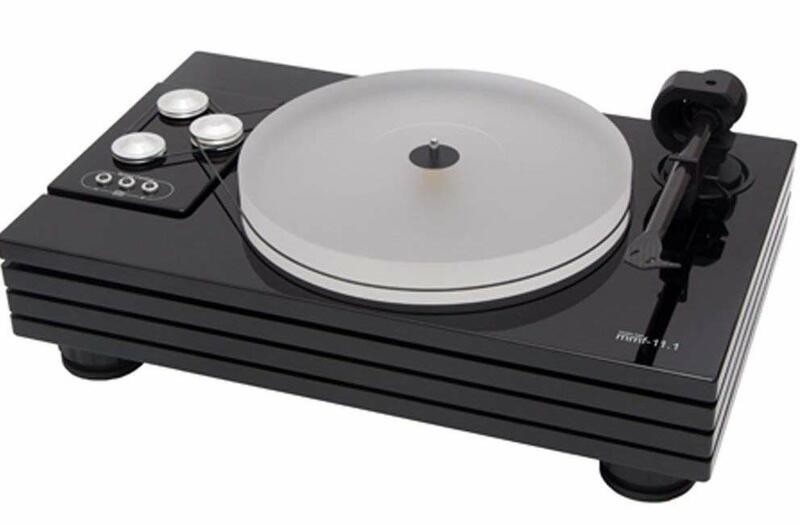 Most often than not you will see turntable specs including an MM cartridge, which stands for Moving Magnet. The other type of cartridge you will see is MC, which stands for Moving Coil and both of these names are a reference to the components within the cartridge helping convert the stylus movements into electromagnetic signals.To simplify things, it is easy to think of MM (Moving Magnet) cartridges as the ‘regular’ type as they are supplied with the majority of commercial production turntables. They are heavier and with a higher output, feature replaceable needles and are well matched with the phono preamps found in hi-fi equipment such as regular A/V receivers. MC (Moving Coil) cartridges, on the other hand, are generally referred to as the more boutique type, favored by vinyl purists. They predate MM carts historically and are physically lighter, meaning that they can track the record grooves with a much higher precision - their biggest advantage really, resulting in super-accurate frequency representation. Being lighter also means that they tend to skip easier than MMs, though the main difficulty with MC carts is their extremely low output, which necessitates the use of ‘proper’ phono preamps especially equipped for receiving and amplifying MC cartridge signals. This combo (MC cartridge and a dedicated phono stage) is arguably the first serious step towards an audiophile-grade vinyl setup. Since this is firmly into geek territory, we might as well mention the MI cartridge - moving iron, which is a variation of the moving magnet type at present - and one more, HOMC, which stands for high output moving coil. But the big ones for you to remember are MM and MC. Regardless of its type, installing a cartridge is fairly straightforward, if a bit fiddly. You need an appropriately-sized screwdriver (we trust you know how screws work), and you need to attach the color-coded wires sprouting from the tonearm into the correct spots. Confused? Here’s Youtube being put to a good use for you - there are plenty of videos explaining in detail how to attach a cartridge to a headshell. It also really, really helps if you have a cartridge alignment gauge, as even small adjustments can make a real difference. We are not going to lie: setting up and properly calibrating a cartridge can be a giant pain in the backside, and can involve some pretty exacting measurements. It's a little weighty for our purposes, but if you do want to get involved with this – well, more power to you, and you can find a very solid guide to doing it here. It should be said that there are some great pro-level packages (as in, integrated headshells with a cartridge and a stylus) such as the Numark CC-1, Ortofon Concorde or Stanton Groovemaster which are ready to be popped at the end of your tonearm without any hassle. To understand how to do this, you need to know about two things: phono signals, and preamps. Don't worry, this isn't complicated. Essentially, turntables output audio as a phono signal. Believe it or not, they are called phono because they were once connected to phonographs. Before your amplifier and speakers can actually interpret the signal as sound and play it, it needs to be converted into what is known as a line level signal. To do this, you need a phono preamp, or preamplifier, that is specifically designed to handle this job. Now, the good news. A lot of modern turntables actually come with a preamplifier built in. If that's the case with yours, congratulations! You can skip the rest of this section, and just connect your turntable to your amplifier using a pair of regular RCA cables, which should usually come included in the package. If one isn't built-in, you will need to purchase one separately. If you are after something to get your system going, cheap ones like this Rolls should do the trick, although phono preamps, just like anything, can be ludicrously expensive, and for a good reason, as they can make an incredible sonic difference. Connecting them is simple: turntable into preamp, connect the preamp to your amplifier, and you're good to go. Except: one last thing. Your turntable needs to be grounded if you use an external preamplifier, or any audio it makes will come with a nasty hum. That sounds complicated, but it isn't. If your turntable doesn't have a preamp, then it will have a grounding wire coming out of it, which is usually coiled underneath the body, or attached to it somehow. All you need to do is uncoil it, then connect it to the correct spot on your preamp. We trust we don't need to tell you to make sure that everything is powered off before you connect the grounding wire. Vinyl records are manufactured in three commonly universal speed formats: 33⅓, 45 and 78 RPM, which stands for rotation (or revolution)-per-minute. This of course means that faster formats last less and can fit shorter recording durations (subject to the record’s physical size as well). Historically speaking, 78 RPM releases were the first commercial variety, though currently they are fairly rare. What you’ll mostly be dealing with is 33⅓ and 45 RPM standards. RPM speeds really do make a difference. The vinyl record grooves’ ability to capture sonic detail is proportionate to the RPM figure. A bit like imagining a pencil drawing - the denser the lines, the more detail, which when applied to the sonic attributes of vinyl records translates into more punch (vinyl talk for transient attack detail) and better capture of the crucial mid frequency bands. This is also the reason why you might find that 45 and 78 releases are often of spoken word, classical music or Frank Sinatra’s newest (OK, back in 1946) smash hit single. Things do sound better when spun faster, simply on account of the denser detail captured in those record grooves. Unlike a lot of electronic equipment, turntables require a little bit of maintenance. The physical interaction between the stylus and the grooves on the record means that a lot of things – from vibrations to dirt and dust – can cause things to go out of whack over time. Think of the turntable like a muscle. If a small injury is ignored, it can often develop into a bigger problem further down the line. It’s far easier to spend a little bit of time taking care of that muscle, and stopping small problems from becoming big ones. Although this is viewed as a little bit of a dark art, it doesn’t have to be. There are a couple of simple things you can do to keep your turntable in excellent working order. The first is to simply make sure that it’s free from vibrations. 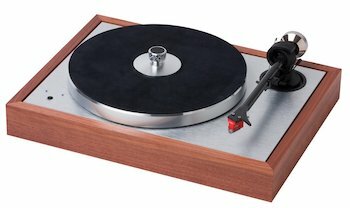 Most turntables take this into account, providing a good level of stability for the platter, but when that’s not the case – or when the turntable is in an area with high foot traffic – then you might want to consider investing in a couple of acoustic feet, to shield the platter from vibrations. Also, protip: check things with a spirit level to make sure that the platter is absolutely flat. You will be surprised at how many turntables are not a hundred percent level, even when placed on what appears to be a flat surface. Second thing? Keep it out of sunlight, and give it a good clean now and then. A stylus brush (Clearaudio make an excellent one) can help keep dirt off the needle. Thirdly, regularly check back on things like the tonearm weight, height and anti-skate. 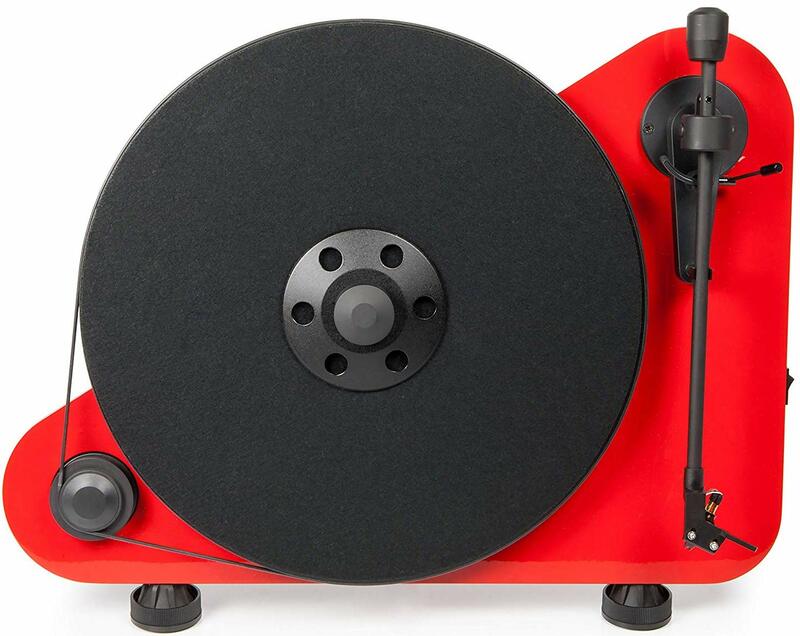 Setting these correctly at the start, as described above, will nullify almost all maintenance problems with your turntable, and regularly making sure that they are all okay (as well as checking to see if any parts, like the belt, need replacing) will go a long way to keeping things running smooth. Vintage gear was designed to be heavy and steady - from the floor mounted speakers to the proverbial tank-proof Technics 1210s. Turntable weight is an important sonic factor, but the reason for this might be a bit surprising to many. Gravity affects vinyl playback in multiple ways: the turntable’s feet/chassis, the record itself, and the tonearm and stylus. We already stressed the importance of using absolutely flat surfaces and stands - adjusting the feet as to minimise vertical vinyl movement is paramount. Weightier turntables naturally minimise (or get rid of) chassis vibrations, especially when positioned nearby speakers producing deep bass harmonics, so yeah, the heavier the better. Similarly, the weight of the record itself is very important for that skip-free continuous playback, and 120-140g (yep, weirdly this is in metric grams) vinyl is the standard weight for modern LP releases. With the current vinyl renaissance though, heavier vinyl such as 180g has become associated with audiophile quality - these records are considered less prone to jumps. Some even argue that they have slightly better soundstage and stereo imaging, though this of course depends on many other factors such as mastering, manufacturing and materials. One potentially very helpful tip would be about using the so called record clamps (check this fine example). These have many benefits, especially when a record or a turntable weight might be an issue (we mean not enough of it). Not only they couple the record firmly to the platter, minimising warping and tilting, but they also free the stylus from unwanted internal resonances, sympathetic vibrations and harmonics. The resulting effect is as if the record is of higher rigidity, thickness and weight. Yes, although not all turntables require them. The Edwards Audio Apprentice TT1 Mk2, for example, is best used without the slip mat. But for most people, you're going to need one. They have several distinct advantages, including protecting the record from the actual platter itself. If you're a DJ, they help eliminate friction. And of course, as with any bit of audio equipment, there is just one to choose from. You can buy cork slipmats, which audiophiles swear by due to their resonant quality, or you can go for a standard rubber mat, which will vastly reduce vibrations – extremely helpful if you got a slightly unstable listening surface, or if you don't trust your turntable's stabilisers. This might make a vinyl enthusiast frown, but some people like to digitize their vinyl collections. Nothing wrong with that - vinyl is big and cumbersome, and it’s always handy to have a digital backup. Many current consumer-grade record players may now include a USB port built in and that of course makes things extra easy. There is an element of varying quality to built-in USB audio interfaces, however - more expensive units can offer a much better subjective audio detail. It is all down to the A/D converter chipset (also known as DAC) used by manufacturers, and if this term puzzles you slightly, we have more detailed info on DACs here. Similar to the phono to line preamps available on the market, you can also find a phono to USB boxes: palm-sized devices which will patch your turntable to a computer. The normally included basic audio editing program would allow you to trim beginnings and endings of the digitized recordings and even repair some of the hiss and crackle.